Alan Manevitz, M.D. is a clinical psychiatrist in New York City, where he maintains a private practice. Dr. Manevitz graduated from the Columbia University College of Physicians and Surgeons and completed his psychiatric residency at the Payne Whitney Clinic of the New York Hospital-Cornell Medical Center, where he also completed an advanced psychopharmacology fellowship. 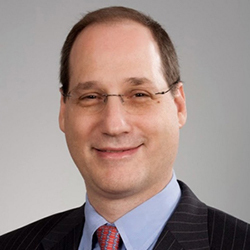 Currently, Dr. Manevitz is a clinical associate professor at Payne Whitney-Weill Cornell Medical Center, an attending psychiatrist at New York Presbyterian and Lenox Hill Hospitals, and teaches at the Weill-Cornell Medical School. Dr. Manevitz has been named amongst the Top Doctors in America by Castle Connolly Medical Ltd., New York Time’s Super Doctors, New York Magazine’s Best Doctors, and Best Doctors of America. My approach for helping patients incorporates classic treatments and newer non-medication and medication treatments integrated into the biopsychosocial clinical treatment strategies. Check, Money Order, MasterCard, Visa, Diners Club, American Express or Discover card. Medicare and others. Call for Details. Dr. Manevitz specializes in Treatment Resistant Depression and Anxiety. TMS Therapy is a treatment for those who suffer from depression and have not received full relief from medications. It uses highly focused pulsed magnetic waves to stimulate nerve cells in the area of the brain which is thought to control mood. TMS Therapy is a treatment that is performed in our office and under the supervision of our physicians and coordinators.